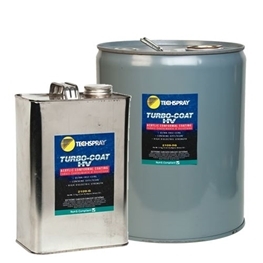 Techspray offers a variety of conformal coating formulas to match field and engineering requirements and is IPC CC 830B, MIL-I-46058C, and UL94-0 Qualified or rated. Specifications generally depend on the type of protection needed: e.g. thermal, moisture, and static resistance. Coatings contain Opti/Scan (except LED Coating) to allow quality control inspection of coverage and evenness of the coating on a PCB. A coated board can be passed under a standard, low-cost UV (short-wave black) light, and the coated areas glow. The brighter the glow, the thicker the coating. Dip – High volume method to fully coat boards. Thickness of the final coating is controlled by viscosity and withdrawal speed from the pot. 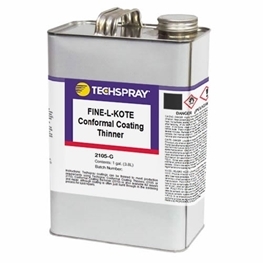 Conformal Coating Spray – Computer controlled selective spray systems, eliminate the need for masking. Higher viscosity than full coverage sprayer is generally needed (70-200 cps) to create precise edge definition and prevent splattering. Manual Application – Aerosol and brushing are generally used for small production runs, rework and repair. If using for rework, the aerosol needs to be compatible with the original coating. Fine-L-Kote™ SRV is a high gloss, ultra-clear conformal coating that is moisture and abrasion resistant. 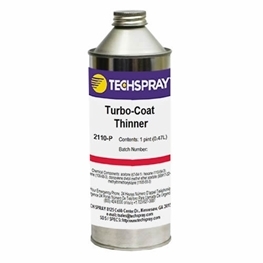 This coating offers resilient, mechanical stress-reducing PCB protection, and is low VOC. 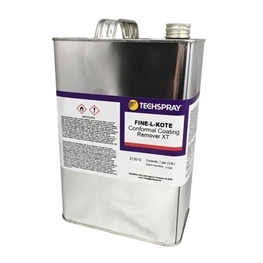 Acrylic Conformal Coating with the fastest cure, dry to touch in 3 minutes!